Half of all existing conventional electricity generating plants in the US will need to be replaced by 2030 as they reach the end of their useful life. The question is, what should they be replaced with? The Rocky Mountain Institute has studied this question and concluded that investing in distributed renewable energy makes the most economic sense. “Renewables and DERs are outcompeting and beginning to capture market share from natural gas-fired generation in many parts of the country, including both peaking capacity, as well as higher-efficiency, combined-cycle plants,” Mark Dyson of RMI and an author of the report tells Solar Industry Magazine. This is an issue that economists can really dig their teeth into. A generating plant typically has a useful life of 50 years. That means a natural gas plant built today will have economic and environmental consequences for the next half century. None of the economic analysis that natural gas advocates proffer in support of their proposals contain one dime’s worth of consideration for the social costs of the carbon dioxide emissions they will create over their 50-year life. It’s easy to say one plan is cheaper than another if you don’t have to figure in all the costs associated with it — like killing every living thing on the earth in pursuit of profits. But you can’t say that in a debate. It’s too controversial. And besides, the corrupt capitalist model that now rules the world makes privatizing profits and socializing costs something to be rewarded, a goal to strive for. It is so common, nobody notices any more. Just business as usual. Nothing to see here. Move along. People who dare to point out the emperor is wearing no clothes are pilloried and marginalized as kooks and extremists. As if killing people for profit is not an extremist thing to do! But I digress. 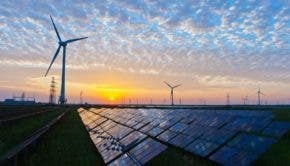 The Rocky Mountain Institute has released a new study it says shows distributed renewable energy is ready today — right now this very minute — to shoulder the burden of providing reliable electrical energy to the US and do it for the same or less money than the natural gas generating plants that are on the drawing board. The report says renewables beat new gas generating facilities on levelized costs and are steadily eroding the profitability of existing gas facilities. And they can provide the same level of reliability as conventional generating facilities. “RMI’s analysis finds that, because of recent innovation and rapid cost declines in renewable energy and DER technologies, clean energy portfolios can often be procured at significant net cost savings, with lower risk and zero carbon and air emissions, compared to building a new gas plant. RMI studied four proposed new natural gas facilities and found renewables would cost from 8% to 60% less. In one instance, renewables would cost 6% more. But here’s the kicker. None of the computations include any allocation for the social cost of carbon. Assuming a very modest amount of $7.50 per ton, renewables run the table in every case. “The analysis includes two announced combined-cycle gas turbine power plants, planned for high capacity-factor operation, and two announced combustion-turbine power plants, planned for peak-hour operation,” the RMI report says. “In three of the four cases, an optimized clean energy portfolio would cost 8–60% less than the announced power plant. In only one case the analysis finds the net cost of the optimized clean energy portfolio is slightly (~6%) greater than the proposed power plant. If the proposed natural gas facilities get built, they will eat up $480 billion in fuel costs and pump 5 billion tons of carbon dioxide into the air through 2030. By 2050, total emissions will amount to 16 billion tons. Renewables, which have no fuel costs and no carbon emissions, should be a no-brainer. That they are not is an indication of how dysfunctional US energy policy is at the present time. China is covering the Gobi Desert with solar panels, but the current US president wants more coal, more fracking, more carbon emissions, more pollution in our lakes and rivers. And yet 40% of Americans believe he is doing a fine job. How will we ever explain this insanity to our grandchildren? American has a choice. Lead the way forward or fall far behind the nations that do. Entrenched special interests should not be allowed to overrule good stewardship of the Earth. Now is the time to contact your elected officials and tell them you want clean renewable energy and you want it now.